There is no shortage of accounts of former slaughterhouse workers or animal farmers who had a change of heart after years of contributing to the mass slaughter of innocent animals. There's Josh Agland, a former slaughterhouse worker who became an advisor for Australian animal rights politician, Mark Pearson of the Animal Justice Party. Josh was initially too ashamed to talk about his three years working at a slaughterhouse, until he realized it wasn't about him. It was about the animals brutally and mercilessly slaughtered every day whose stories needed to be told. 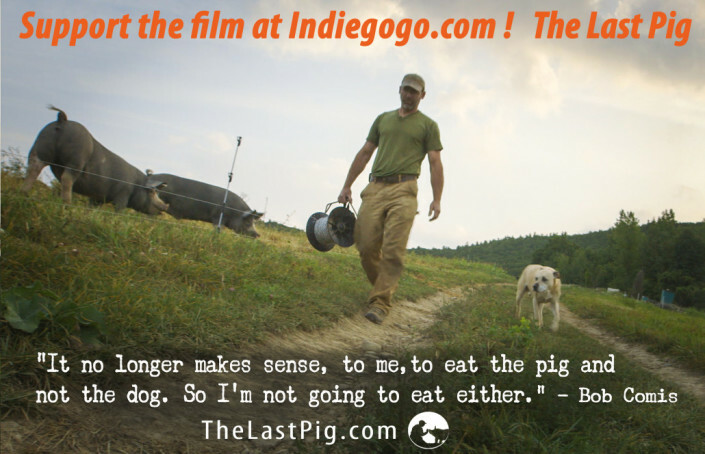 "Pigs, like many, if not most nonhuman animals, are almost unconditionally forgiving. No matter the abuse they suffer, no matter the deprivation, no matter the psychological horrors they are put through by thoroughly callous people with a profound disregard for the depth and intensity of their being, pigs, given ample physical and psychological space and time, will forgive humans completely. While it might be difficult for them to do so, and while there might be lasting psychological effects of their trauma, (almost) every pig will welcome humans back into the herd." If these former slaughterhouse workers who must have felt like a big part of their souls died every day they went to work, and are continuously haunted by the smell, sights and sounds of death, and who can never completely wash their blood-stained hands rife with guilt because of the irreparable emotional and mental toll that killing animals must have on them … if even they can awaken their empathy and compassion, and do a complete 180, then there should be no reason for those who support this industry through their diet and lifestyle to not be able to do the same. Not convenience. Not custom. Not taste. I used to think that majority of slaughterhouse workers were psychopaths; although, let’s be real, there are people who get a sick satisfaction and rush from abusing and killing animals (in such cases, it's because of the violent criminals who tend to gravitate toward these jobs). But after reading stories of former slaughterhouse workers turned animal rights activists, as well as Dr. Melanie Joy's book Why We Love Dogs, Eat Pigs and Wear Cows, I realized that slaughterhouse workers are victims themselves. Slaughterhouse workers are merely caught in a never-ending cycle of violence and victimization. Workers inflict violence upon animals—the true victims—until the workers themselves become victims from the violence they're forced to unleash...minute after minute, hour after hour, day after day. It's not normal to kill, and these stories of ex-slaughterhouse workers reflect that. They're mere cogs in the killing machine, urging us to examine the larger issue here: the systemic problem of the animal agriculture industry and the corporations that fund it. You can read more about the inhumane conditions of slaughterhouse workers here. I really believe that if slaughterhouses had glass walls, and if they were located in densely populated areas—cities and suburbs—people would become vegan. Otherwise, it's out of sight, out of mind, as is the case. But slaughterhouses shouldn’t need glass walls to prove that theory. What I hope this blog post shows, and a quick online search for “former slaughterhouse workers turned animal rights activists”, are the numerous stories of people who quit their jobs, became vegan and/or dedicated the rest of their lives to fighting for animal rights after witnessing the horrors behind slaughterhouse doors. While many people will argue that killing animals is natural—that animals are here for us to consume—it's hard to argue against or discredit what these ex-slaughterhouse workers experienced that compelled them to walk away from their jobs. It's a decisive act that has to make you wonder. Why else would these slaughterhouse workers, many of them without the financial means to quit their jobs, do so? "Eventually, I became desensitized. But in my heart of hearts, I knew there was something wrong here. I didn’t know exactly what. Guys carried on in a bloodthirsty kind of lifestyle. During work...men drank all night long; (they were) severely intoxicated. But they did their job. Whether it's the soul they saw in the animals' eyes, or the profound emotions that animals are capable of feeling, or the tipping point of seeing/committing one too many senseless murders of innocents, these slaughterhouse workers knew they couldn't lead normal lives and find inner peace if they continued with their profession. To me it speaks volumes and carries just as much weight as the graphic images and videos we see of the unfathomable abuse and violence inflicted on animals. It shows that killing is killing—whether it's taking a person's life or an animal's life. The psychological effects of those who do the killing for us run deep; the trauma and emotional scars last forever. If you're vegan and are one of those people who, like I once did, points fingers at slaughterhouse workers and thinks the worst of them, I hope that this has helped open your eyes to see the bigger picture: that many of them are also victims of the system. 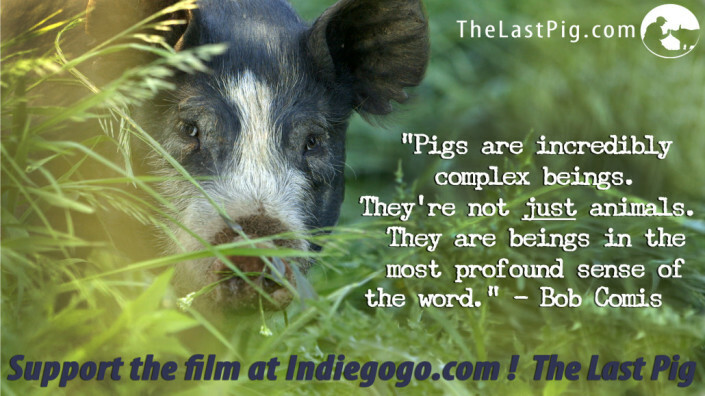 I hope that you are compelled to read more of their stories, and share them with others to raise awareness and inspire others to work toward a compassionate world, one in which slaughterhouses no longer exist. If you're not vegan, I hope that you realize the extent of the consequences of a meat-, dairy- and egg-based diet. It's not just an animal welfare issue, it's also a human welfare issue. It's easy to look down on those who do the killing for you. It's easy to think animals are meant to be eaten when you're not the one killing thousands of them per hour every day. It's easy to be disconnected from how our food is processed when your senses aren't overwhelmed by the sights, sounds and smell of violent deaths. And it's easy to be indifferent or forget what you've learned about slaughterhouse horrors when you're at the grocery store and everything is wrapped in a pretty package for you. I can only hope that the stories of these former slaughterhouse workers help awaken your compassion and empathy, that they move you enough to act according to your conscience ... and shift away from a diet and lifestyle that inflicts harm and suffering on others—both humans and animals.